A new board book in Olivier Dunrea's Gossie & Friends series! Ollie is looking. Looking for a valentine. 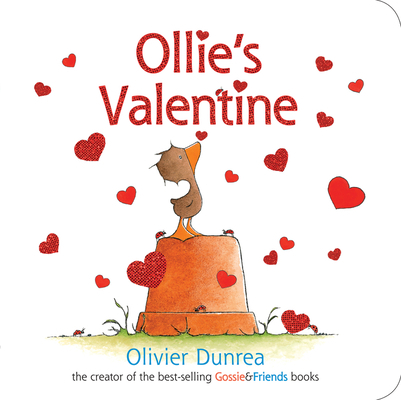 Gossie, Gertie, Peedie, and BooBoo all have valentines, but Ollie wonders who will be his. His search leads him to a special valentine of his very own—a surprise for Ollie and readers! With shiny foil hearts on the cover and every spread, Dunrea's charming artwork shines in this gift-worthy treat of a book.